I was recently asked to be a part of the panel at The Foundry’s Nuke skill up event. I had a great time talking about the industry and then heading to the pub and meeting everyone. Due to the nature of the panel it was conversational, so I didn’t get to say everything I wanted to. I thought it would be useful to post my notes up here for you to read. There should be a recording coming soon which I’ll be sharing as soon as it comes out. 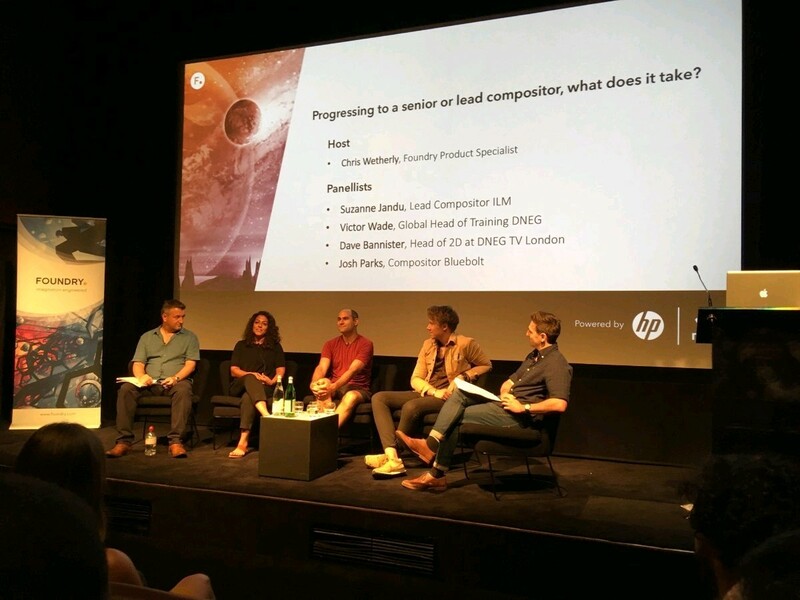 In your experience what defines a lead or senior compositor? And what does this role look like at your company? Junior/mid/ senior level mean different things at different companies + you also get a different quality of senior, I think the biggest mistake people make is expecting to get the title by just being in the industry for a long time. 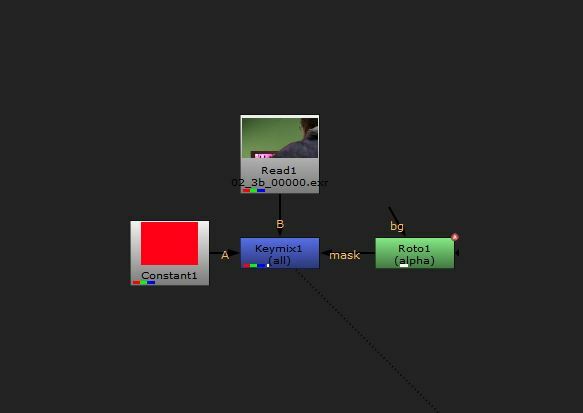 I think a good lead compositor focuses on systems, so templating for others to speed up the workflow for a sequence to make most of the non creative aspects of compositing to be done easily. Mid level artists may feel that they have at a certain point learnt the tools they need to do their job. What would you say to those who have developed to a point where they can consistently handle shots using the same workflows they’ve used for years and are not sure how to develop further? If you want a way to quickly develop your skills, open up other peoples nuke scripts, research how other people are doing things in their work. If there’s someone from another company then open up their nuke scripts and you’ll probably get to see a lot of the techniques they use there. You may disagree with some of the ways they do things but it will then allow you to question your own workflows and work out the pro’s and cons. What is the appropriate balance between delivering a shot on time vs delivering to a certain quality? This generally changes throughout the show at first the emphasis is about delivering a certain quality then towards the end it’s about delivering the shot, this balance changes around 1 month before the delivery date generally. I would argue someone who can hit the look is better as at least you know that the person has an eye for the stuff and will hopefully get quicker. How important is asking questions in order to progress? Should artists be continually talking to their leads/seniors if they experience troubles with a shot, or should they spend the time finding a solution themselves? Asking questions is everything, however you can get your answers in different ways, for instance find a cool shot and ask yourself how did they do that, open the nuke script and see. It then gives you an excuse to go over too other artists, and ask questions, this is the way I’ve found mentors. What are the most common mistakes you see artists making that have the potential to hinder their development? People who are so far into their career they feel they can’t ask stupid questions. Something I see at the moment is a discussion about passion in the industry and the variety of responses we see regarding it. How has your passion for the industry changed as you have developed? Passion will obviously fade as you hit your goals, however you’re hopefully then going to have new bigger goals. I like to think of it in terms of momentum, for me I find my passion increases again if I teach, but i try to keep the momentum up by throwing it at different things, this website, my teaching, the newsletter, my work, so that the momentum stays high and because you’ve given yourself permission to focus on other areas I feel like the passion will stay longer. Look at other artists, find the ones who are still passionate about what they do, study what they do and try and see if it works for you. Have you brought any knowledge/experiences from other mediums into your VFX career and if so what? Loads lots of Richard Feynman in my teaching, I love how he creates great imagery and has so much energy, inspired by him I impromptu created bohemian rhapsody keying while teaching, also after getting in to Denmark late due to a delayed flight I once taught colour channels using some office draws and post it notes. I nicked the newsletter idea off a designer called tobias van schneider. I’m currently working on a project in my own time that’s been part inspired by a dota 2 tournament on twitch. It keeps it exciting to see who’s doing well in other industries and see what is applicable to this vfx, it’s something i think we should do more of.